Strange Culture: Academy Award Winner Tops Grammy Nominees List! Academy Award Winner Tops Grammy Nominees List! I think it's fun to call attention to people's Oscar nomination/win status when their win is not representative of their traditional image. 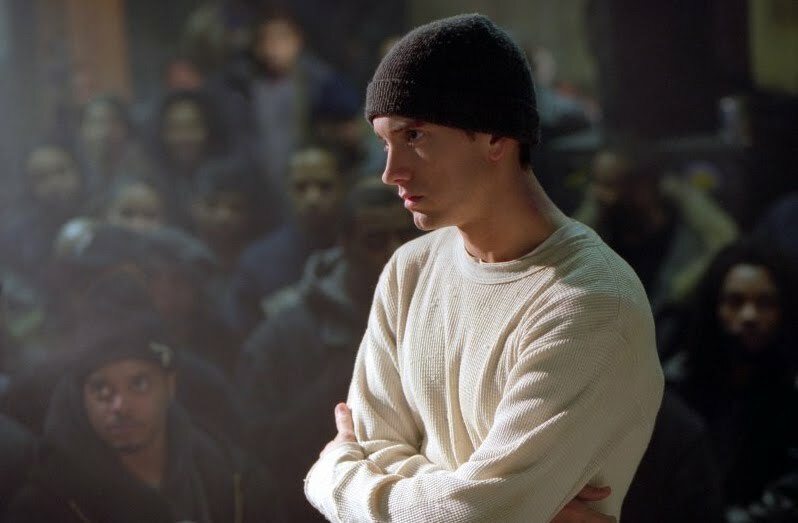 Eminem, who won an Oscar for his song "Lose Yourself" from 8 Mile has lead the 2011 Grammy award nomiantions today with the most nominations (10 nominations). This is considered a comeback for Eminem who's spotlight had been diminished for awhile since his Slim Shady days. I'm a huge Grammy non-fan so this announcement is not very high up on my interest meter (feel free to read some of my Grammy-gripes here). That being said, when Eminem didn't show up to the Oscars in 2003 as a nominee (and winner) it was attributed to the fact that the black-tie affair was not his scene and would negatively impact his image. So that being said, I highlight his Oscar-winning image, already embraced by the establishment, and congratulate the Academy Award winner Eminem for his Grammy nominations.